SNAG is launching an exciting new project, the Jewelry and Metals Survey (JAMS). This new annual publication will increase the visibility of SNAG, help propel the field forward, and highlight the best new work being made in the field of jewelry and metals in the world, and to present a wide range of the type of work being made in the field. 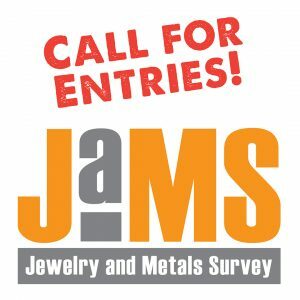 JAMS will be an annual survey of jewelry and metals in contemporary art, architecture, craft, and design created in the previous year by emerging and established artists, as well as students. Find out how to make a submission. Deadline September 1, 2017.